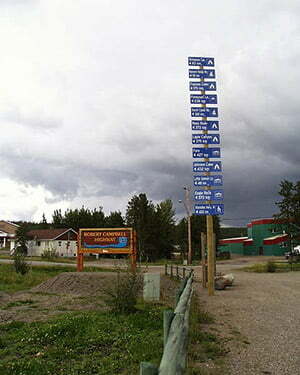 Yukon Highway 4 was named for the region's first Hudson's Bay trader. Campbell traversed much the same country as the highway when he explored from the Liard River watershed to the Yukon River watershed by way of the Pelly River in 1843. Today, the highway provides access to the communities of Faro and Ross River and various mining operations. It also provides adventurous travelers with an extraordinary alternative to the Alaska Highway route between Whitehorse and Watson Lake, taking them through the remote, spectacular wilderness of the Yukon.